Browse our wide selection of Jeep Wrangler JK Tow Hooks and D-Rings to find the best prices for your Wrangler 2-Door or 4-Door. 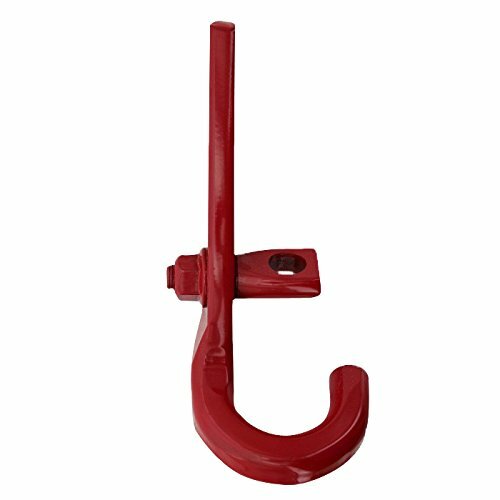 In this category you will find JK Wrangler Tow Hooks and D-Rings for the 2007, 2008, 2009, 2010, 2011, 2012, 2013, 2014, 2015, 2016 and 2017 Jeep Wranglers. Feel free to use our filtering options to sort by popularity, price or ratings within a category. The JK Jeep Wrangler Tow Hook and D-Ring products include D-Ring mounts, front tow hooks, rear tow hooks, heavy duty D-Rings, quick release D-Rings, durable tow hooks, aftermarket D-Rings, OEM tow hooks and more. Its very important for a JK Jeep Wrangler to have the ability to protect and recover itself which by adding Jeep Tow Hooks and D-Rings you’ll certainly have a good start. Unfortunately, a stock Wrangler doesn’t offer many options for recovery besides trying to drive it out of whatever you are stuck in or on. Adding Jeep D-Rings or Tow Hooks should be very high on most Jeepers list of things to modify. Not only will your Wrangler have more recovery options, but being stranded on a rock or being stuck in the mud becomes much less cumbersome with aftermarket TJ Jeep Tow Hooks and D-Rings. Jeep Tow Hooks and D-Rings will add multiple recovery points and give your Wrangler a stylish look.